loverevolution | T. Cain's Thoughts. Jesus said, “pray earnestly unto the Lord of the harvest to send forth laborers” And, “the harvest is plentiful but the laborers are few.” The Gospel of Jesus is the only hope for, and the only faith that seeks to include every tribe, tongue, nation, and people group. Jesus truly is the hope of the nations! The story of God is the story of going. From Abraham to the apostle Paul, Gods call is go. To a land unknown, to a people unknown, God is always sending. “For God so loved the world He gave His only Son.” Jesus came into the world not to condemn the world but to save the world! That is good news! Before the great commission Jesus maintains the great mission of God by saying, “just as the Father sent me, so am I sending you.” Any believer in Jesus is a sent one. What an adventure. This video is sooo good! Its all happening! It really is happening!!! The school of the Circuit Rider was held last week in Lancaster PA, and it was truly amazing. I have never seen such unity and courage in one room before. Lancaster county has an amazing history of revival and deep wells of faith and family. It is the most generous mission sending and giving county in the world. The Lord was revealing his heart for the time we are living in. He is calling us to radical love and love for the family of Jesus. Its so radical because its so simple! It has always been the call and command of Jesus, that “we love one another.” No more skepticism, no more disunity, no more unbelief, just love love love love for Jesus and His family. The time is now. We will not delay any longer. We will rally around the person of Jesus Christ and the powerful simple Gospel. Just Jesus. It really is that simple. 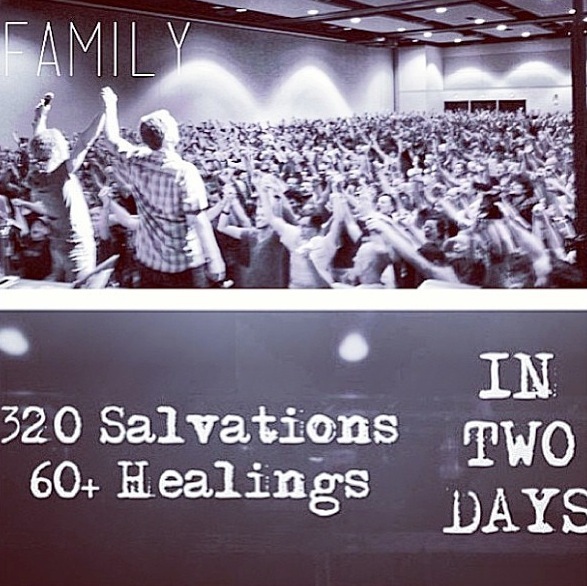 As a result of this unity we hit the streets of Lancaster and saw 320 people in two days trust in Jesus for salvation! Calling people to Jesus is different than anything else the world offers. Jesus said, “behold I stand at the door and knock, if anyone hears my voice and opens the door, I will come in to him and eat with him, and he with me”-Revelation 3:20. Inviting people to know Jesus is not calling them to a set of rules, a philosophy, a belief system, but a real and abiding relationship with the living God, Jesus Christ. The invitation is the great banquet table of Jesus! When people put their trust in Jesus they are adopted into the family of God. A Jesus people family. A family of redemption, that encompasses the whole earth. Amen!! !